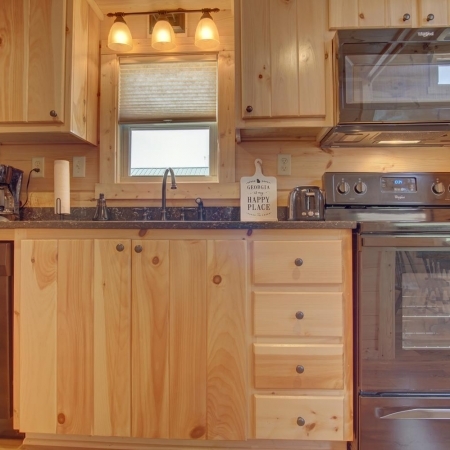 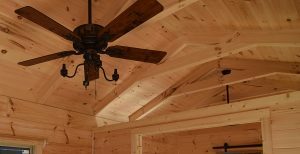 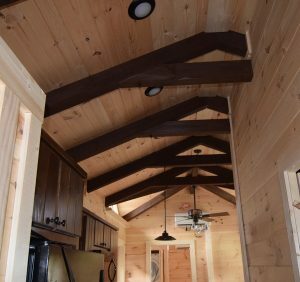 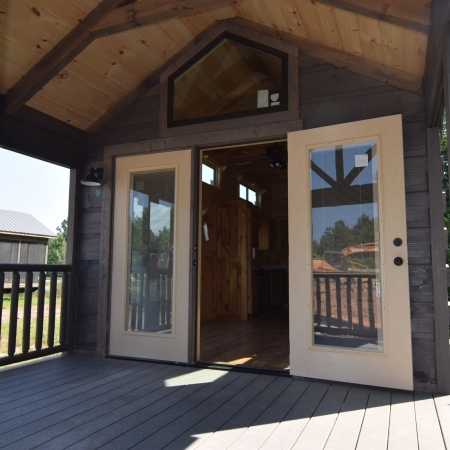 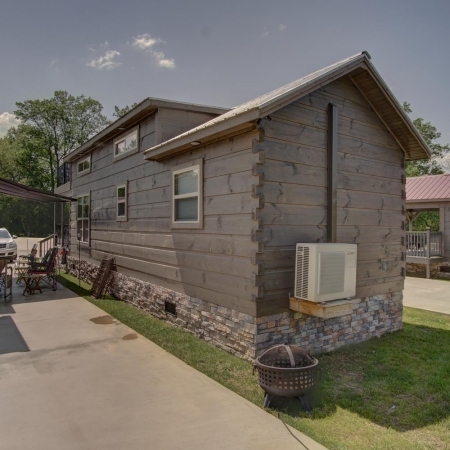 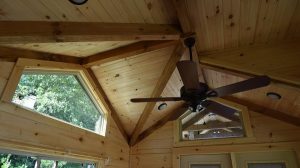 GRC offers standard natural rafters or beautifully stained rafters to accent your cabin. 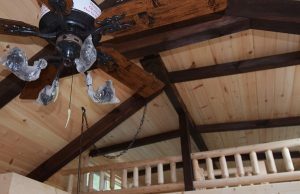 Upgrade Rafter Stain Options include $380.00 for park models. 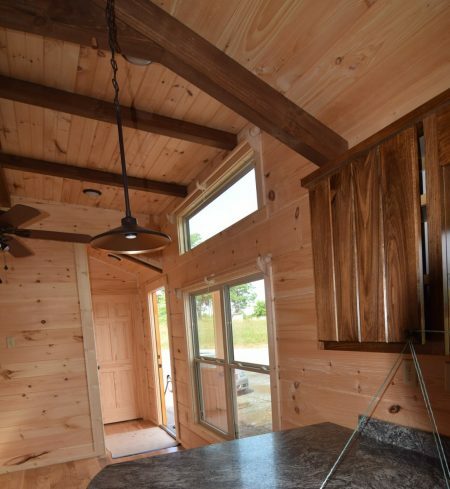 If modular cost may vary. 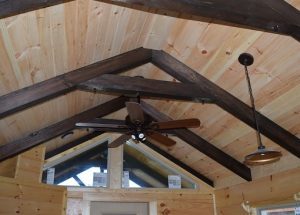 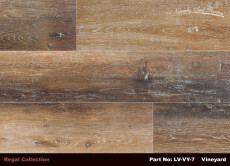 Provincial Stain shown with Double Dormer Loft Option and Upgrade Ceiling Fan Option.